Bourbon Peach Cinnamon Rolls are gooey, juicy, and full of summertime peach flavor. 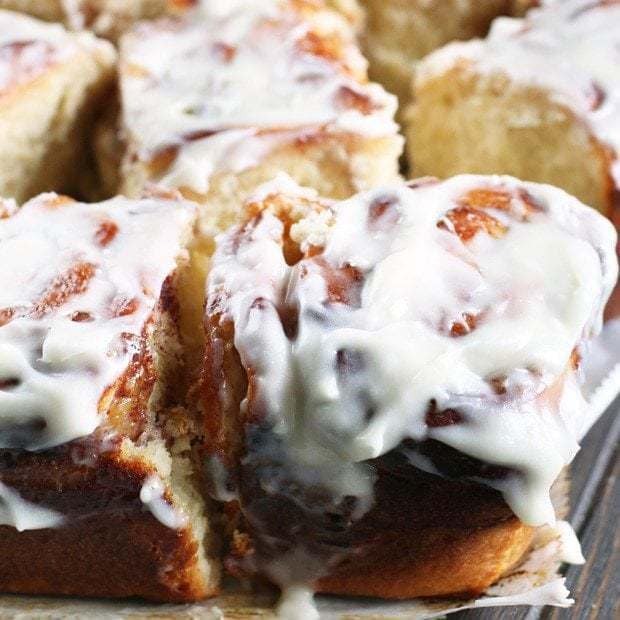 Though this recipe takes a bit of time to let the dough rise properly, the end result is a picture perfect pan of cinnamon rolls. 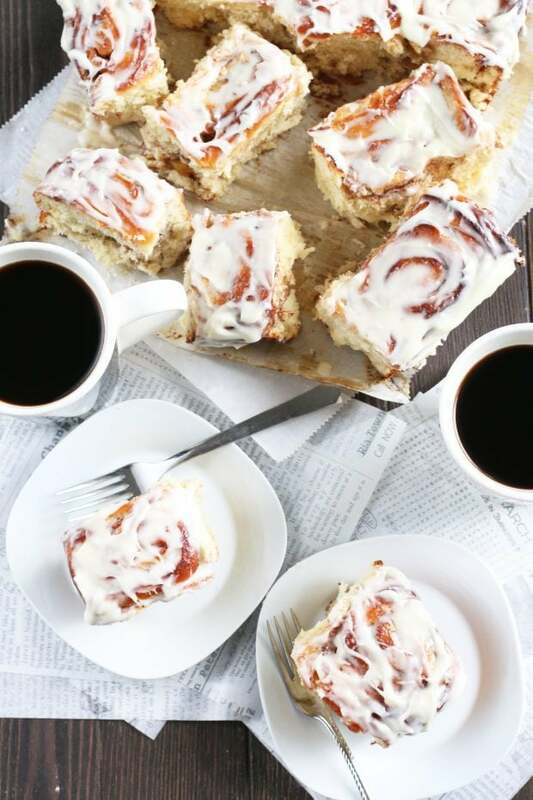 It’s the best way to start the day! I am in the land of perfect peaches this week, and I am in heaven. The west slope of Colorado is one of the best places in the entire world to get a peach. If you haven’t had a Palisade peach before, you are missing out on a truly incredible experience. Everyone here in Colorado knows about these peaches, and they all sell out incredibly quick in Denver. However, here on the west slope, those prime peaches are EVERYWHERE. I’ve been eating two a day, and I am planning on buying a couple of crates before the Man and I drive back to Denver. While Georgia peaches are nice, Palisade peaches are a whole other level. They are literally filled to the brim with juice. When you bite into one, the juice drips all over the place and it is GLORIOUS. So with all this inspiration around me, I am putting peaches in EVE-RY-THANG. 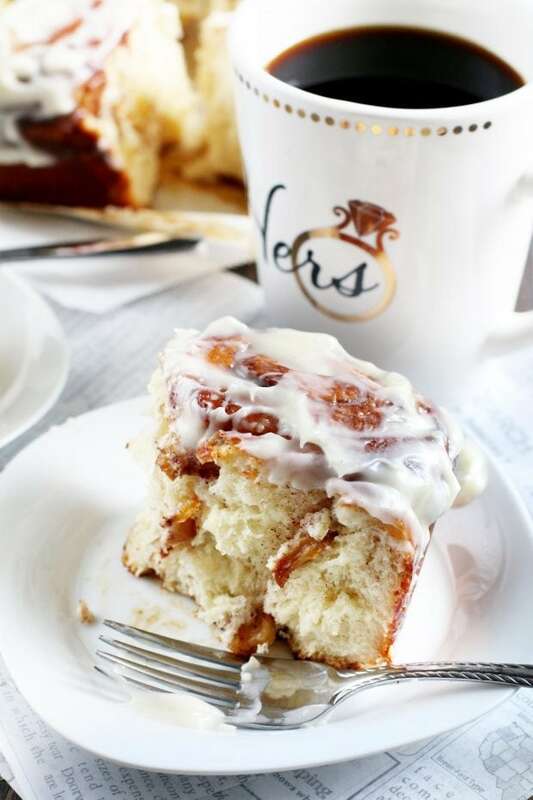 These bourbon peach cinnamon rolls might be the pinnacle of peachy goodness so far. 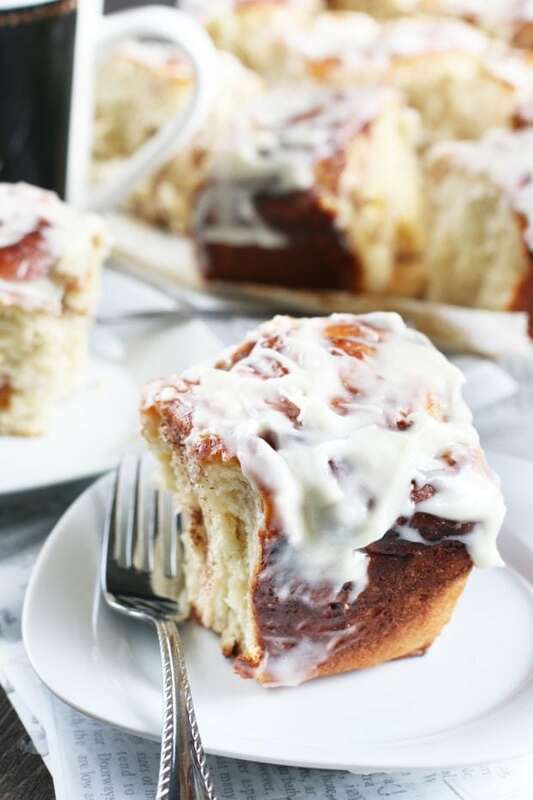 The bourbon peaches hidden inside are soft and juicy, with a slight boozy kick, and all the fruity juice from them keeps the cinnamon rolls themselves nice and gooey. 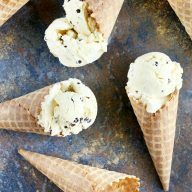 They melt in your mouth instantly, and the cream cheese frosting on top gives just the right touch of sweetness and creaminess to pair with all of the other flavors. Bring these out for your next brunch or make them for you boo for a surprise breakfast in bed (hopefully the Man is reading this because HINT HINT lol). 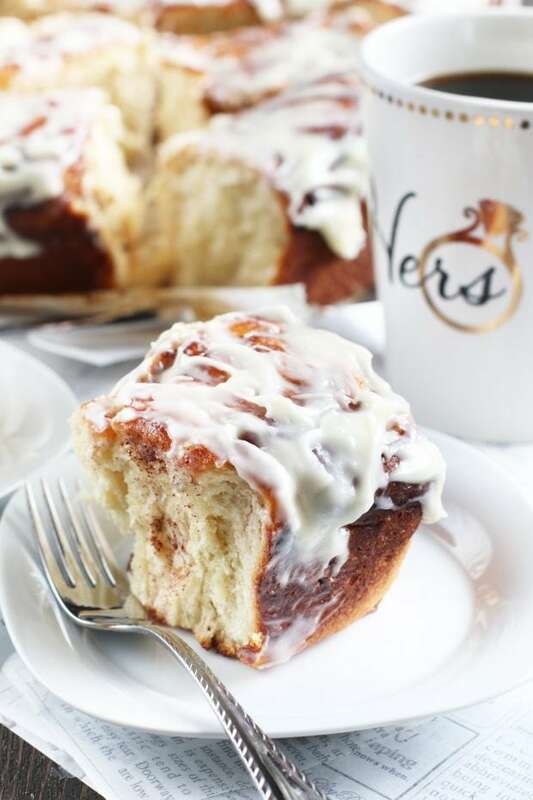 Pair them with a cup o’ jo and you are starting the day off on the best. foot. ever. – both quality and won’t cost you an arm and a leg. 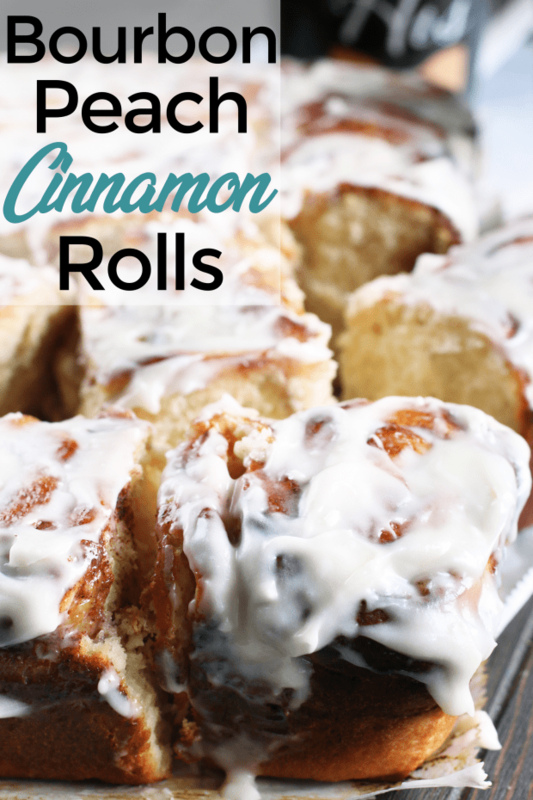 Reynolds Kitchens Parchment Paper is something I always like to have on hand because it helps with the more messy, sticky baked items like these cinnamon rolls! 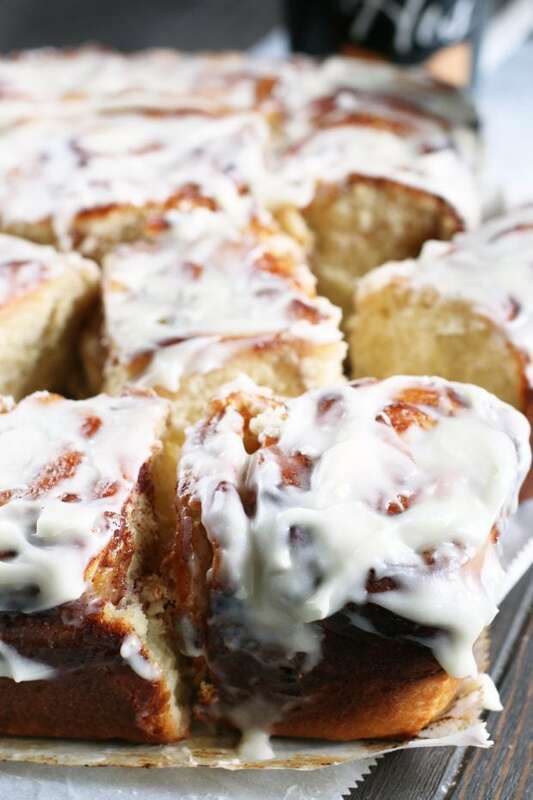 Pin this Bourbon Peach Cinnamon Rolls recipe for later! Bourbon and peach come together to give these soft and gooey cinnamon rolls a juicy, boozy kick! Warm milk for the dough over moderately low heat until it simmers. 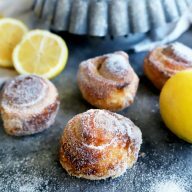 Remove from heat and immediately pour the milk into the bowl of an electric stand mixer fitted with the dough hook and stir in the sugar and yeast. Let rest for about 5 minutes until the yeast is foamy. Add the softened stick of butter, eggs, and sea salt. Beat to combine. Then add the flour and beat until a soft dough forms on medium speed, approximately 3 minutes. Increase speed to high and beat until the dough is soft and pliable, an additional 10 minutes. Remove the dough and place on a lightly floured surface. Knead with your hands a few times and then form the dough into a ball. Grease a medium size bowl with butter and add the dough ball to the bowl. Cover with plastic wrap and let rest in a warm place until doubled in size, about 1 1/2 to 2 hours. While the dough is rising, prepare the bourbon peaches. In a medium saucepan, add peaches, lemon zest, allspice, cinnamon, bourbon and maple syrup. Heat over medium heat and simmer for 15 minutes, stirring occasionally. Remove from heat and cool completely. In a small bowl, stir together ingredients for the cinnamon filling. Set aside. Line the bottom of a 9x13-inch baking pan with parchment paper, allowing the paper to extend up the long sides. Grease the paper with butter. Turn out the dough from the bowl onto a lightly floured work surface and roll out into a 10"x24" rectangle. Brush melted butter on the surface of the dough for filling. Sprinkle the cinnamon sugar mixture evenly on top, then spread out the bourbon peaches on top in an even layer. Working quickly, tightly roll the dough to form a 24 inch log. Cut the log into quarters and then cut each quarter into 4 slices. Arrange the slices in the baking pan with the cut sides up. 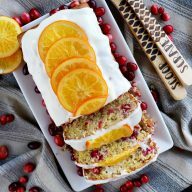 Any berries and juice that have spilled onto the work surface should be gathered and added to the baking pan between the rolls. Cover the rolls with plastic wrap and allow them to rise for an additional 2 hours. Preheat the oven to 425 degrees. Bake the rolls for about 25 minutes, until they are golden brown. Transfer the pan to a rack and allow to cool for 30 minutes. In a small bowl, whisk together the confectioners' sugar, butter, heavy cream, and cream cheese until the frosting is spreadable. Grab the sides of the parchment paper that hang over the baking pan and invert the rolls onto a cooling rack. 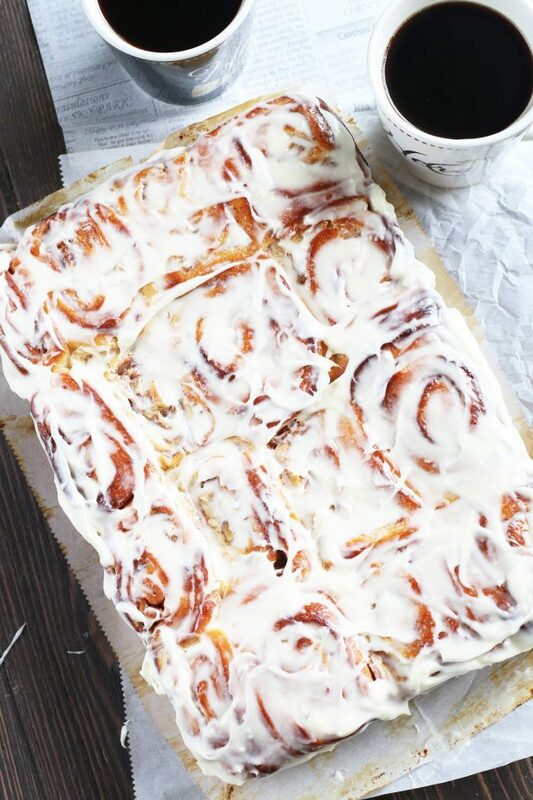 Peel off the parchment paper off and turn the rolls over onto a serving platter. 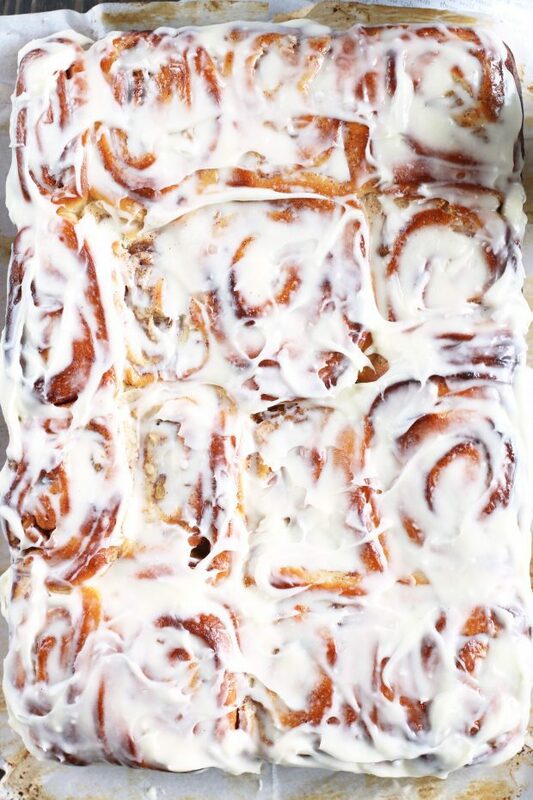 Spread frosting evenly over the rolls with a spatula. Serve immediately.